This month we put the IMS client spotlight on Otway Helicopters. 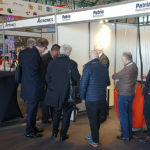 We also have a pre-event report leading up to the Helitech International Trade Show held in Amsterdam 16-18 October, where IMS will be represented by our partner Patria Helicopters AB. 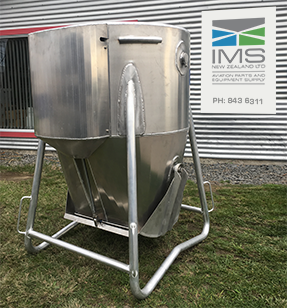 The IMS Emergency Support range of products is being profiled along with the recent delivery of two brand new electronic fuel-injected Ground-Effect Spreading Buckets to a client's Northland base in Warkworth, New Zealand. 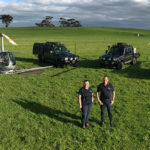 Otway Helicopters is an Australian-based agriculture spraying, spreading and seeding business. 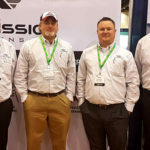 Owners Rob and Sandy Martin have been long-term friends and loyal customers of IMS fter buying their first Ground-Effect Spreading Bucket back in March 2010. 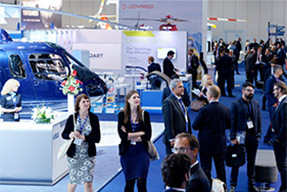 Helitech International is the largest helicopter trade show in Europe dedicated to helicopter products, parts and services. Our partner and IMS helicopter equipment distributor Patria Helicopters AB will be attending with a Cloudburst Fire Bucket on display. IMS Cloudburst Dams are compact, quick and easy to set up, dismantle and transport. They come in various sizes to suit and optional extras are available. 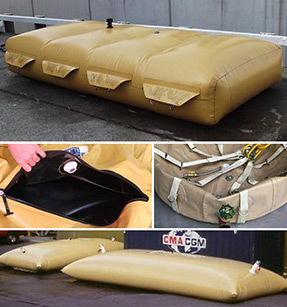 Cloudburst Fuel and Water Cells come in sizes from 800L to 10,000L and have been developed for use with light commercial and military vehicles to transport water or fuel. 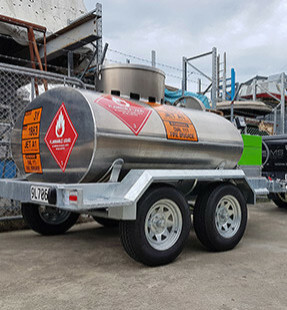 IMS Ground-Effect Fuel Trailers are certified tanker units for remote delivery of Jet A1 or AV gas. They have a capacity of 1875L and an on-board diesel-powered Viton seal pump. 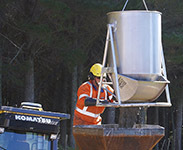 Our Ground-Effect Concrete Buckets have been developed for the precise placement of wet cement and gravel. They're available with manual door or pneumatic door actuation. 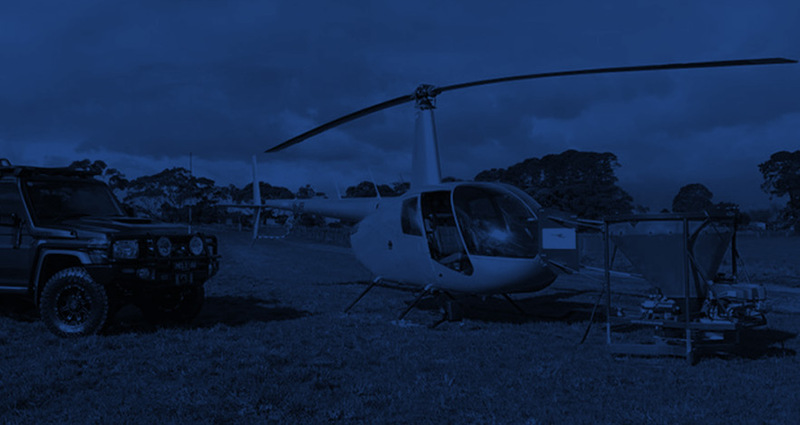 Skywork Helicopters provide commercial helicopter services throughout New Zealand. 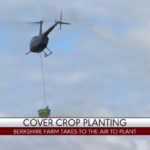 With a diverse fleet of helicopters available, they perform everything from precision lifting to fire fighting, power line stringing, aerial surveying, tourism, and agricultural spraying and topdressing. 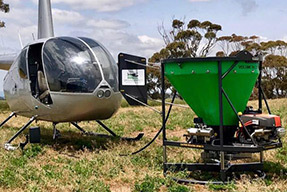 To assist with on-farm delivery missions, they recently purchased two new Ground-Effect Spreading Buckets fitted with electronic fuel injection, electric start and onboard power. EFI is likely to become standard for future spreading bucket motors so watch this space. 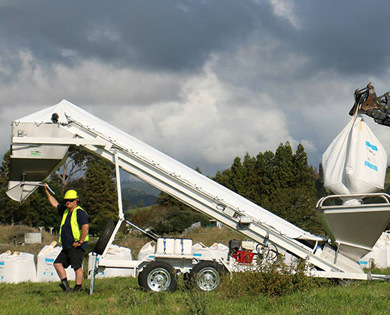 Cloudburst and Ground-Effect are our core products but we also manufacture a wide range of helicopter equipment including: conveyor loaders, carousels, hooks, swivels, fuel and water cells, fuel trailers and pretty much everything else you can sling under a helicopter. 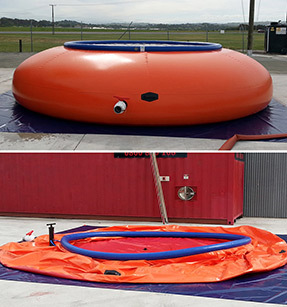 Click on any of the below images to view the full range of IMS helicopter equipment. If you want to know more about what IMS can do for you and your helicopter equipment needs just reply to this email or click here and we'll be in touch asap! 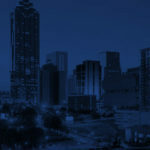 IMS manufacture and supply helicopter equipment world-wide and currently have distributors providing sales and service in Europe, Canada, USA, Central and South America, and South Africa. 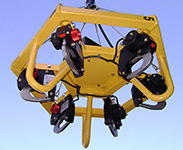 Aerial Mission Solutions offer the very best in utility equipment for aviation. 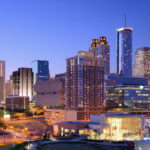 They are currently our much-valued partners in both North and South America. IMS distributor Patria Helicopters have a customer base that include Swedish and foreign defence forces, public and private helicopter operators. Heli-Tractor offer a wide range of helicopter services including spraying, fertilising, top-dressing, aerial lifting, fire-fighting and longline banner towing.